Back in the 70's when macrame was big, it really was big! We used thick jute, yarn and ceramic or wood beads to make plant hangers and *gasp* the infamous macrame owls! I loved it then and I love it now. 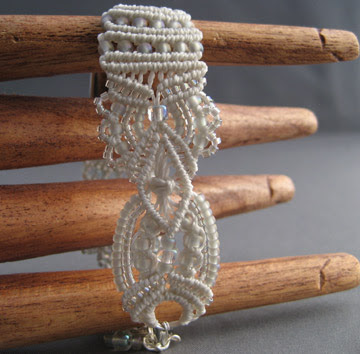 Newer nylon cords in much smaller sizes have now opened up a huge world of possibility in making tiny macrame pieces like jewelry. 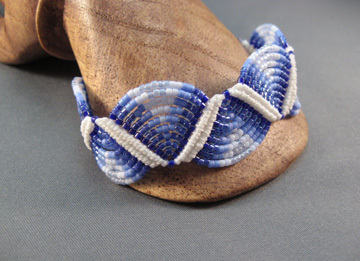 I'm amazed and fascinated by the endless variations possible using different knotting techniques and different materials. 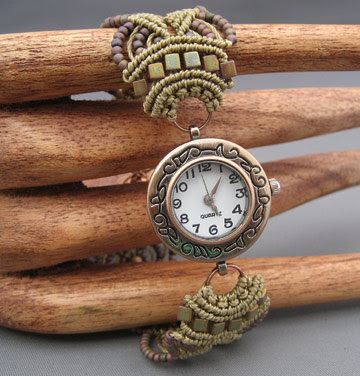 I find inspiration in semi-precious stones, glass beads, vintage buttons, crystals and even metal filigree and include those in my jewelry. Every piece turns out differently and every creation is an adventure.